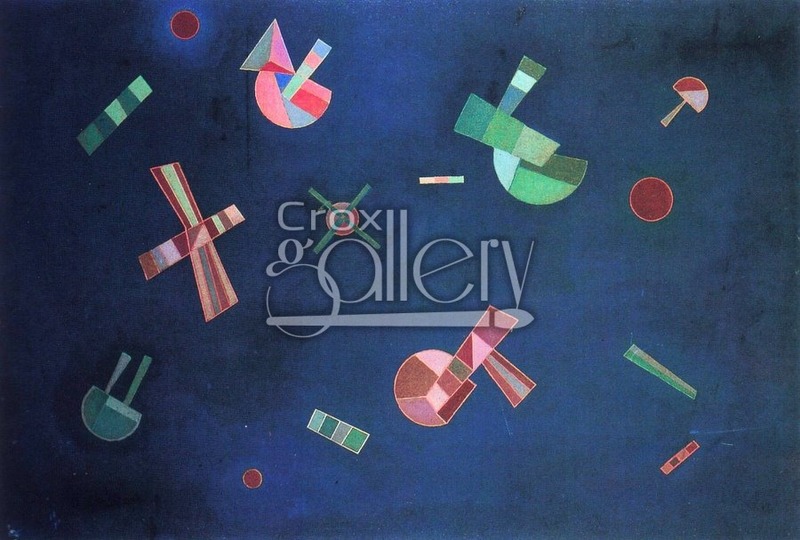 "Fixed Flight" by Kandinsky, Oil Painting on Canvas. 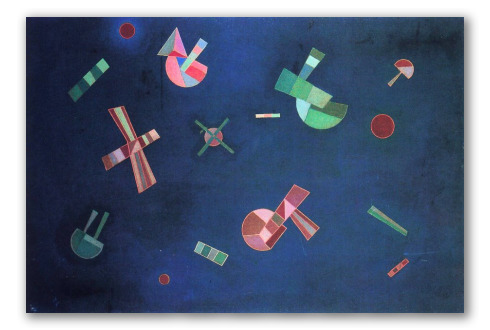 Fixed Flight was painted by Wassily Kandinsky towards the end of the artist’s life; in 1932.The painting’s colors are distributed in small pieces over a sea-blue background. The picture marks the beginning of Kandinsky’s final period of his career in Paris as an artist.